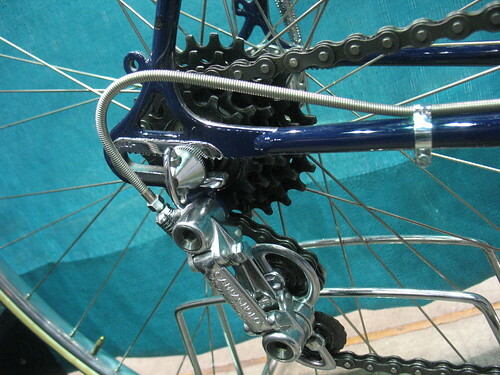 This bike had Campagnolo Cambio Corsa rear dropouts but did not have the original derailleur mechanism. The paint was exceptional of course. Compliments of Vélocolour.